Have fun & be safe - Learn to swim! 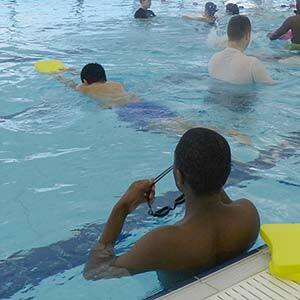 Start2swim deliver swimming lessons from De Montfort University QEII Leisure Centre at Duns Lane, Leicester. This great facility offers beginners and improvers an opportunity to learn to swim from aged 4 months to adults. All our classes run throughout the year including school holidays. Our Parent & Baby classes start with babies from 4 months up to around 3 years old, accompanied in the pool by a parent/guardian. When the child is considered to have progressed and is tall enough they are encouraged to transfer to an independent class. For 3 year olds and over, there are pool platforms to reduce the water depth and where required an additional assistant in the water to boost confidence. Adults can enroll as complete beginners, or improvers if you want to develop your strokes. There are both daytime and evening courses. Occasionally we can offer 1-2-1 tuition but this is only when water time and teachers are available. Text or email Pat for availability and prices. 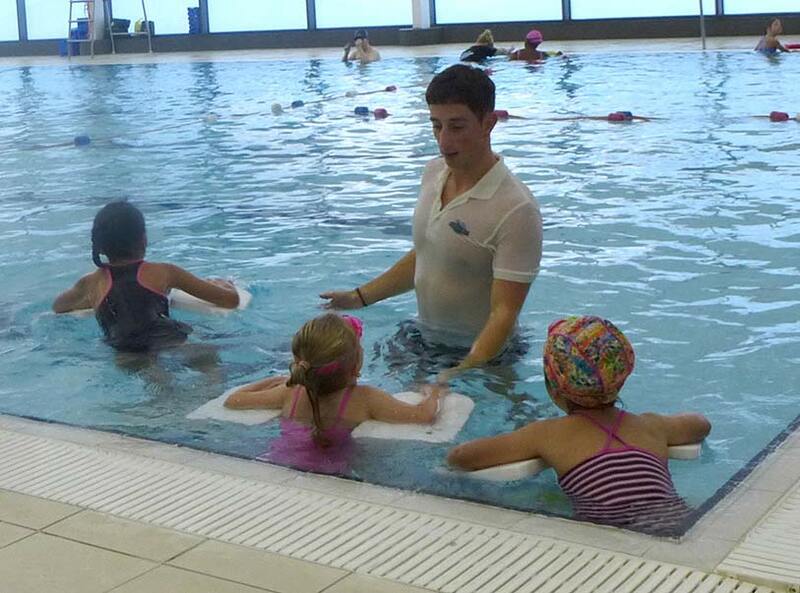 The teachers for all our courses are fully qualified, enhanced DBS checked and lifeguard trained. Every class is lead by a Level 2 teacher aided by a qualified assistant. Many of our teachers are national standard competitive swimmers so correct strokes and breathing are taught right from the start. Our Parent & Baby classes for 4 month olds up to around 3 years are given a gentle introduction to the water right from the start. 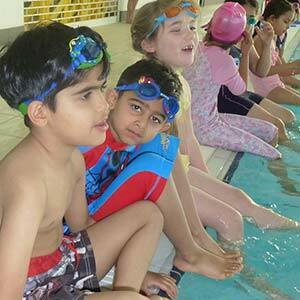 With small class sizes and qualified teachers as well as the fun element our main emphasis is on water safety. When children are considered to have progressed and are tall enough, they are encouraged to transfer to an independent class. Small class sizes with at least 2 qualified teachers in the water with every class. 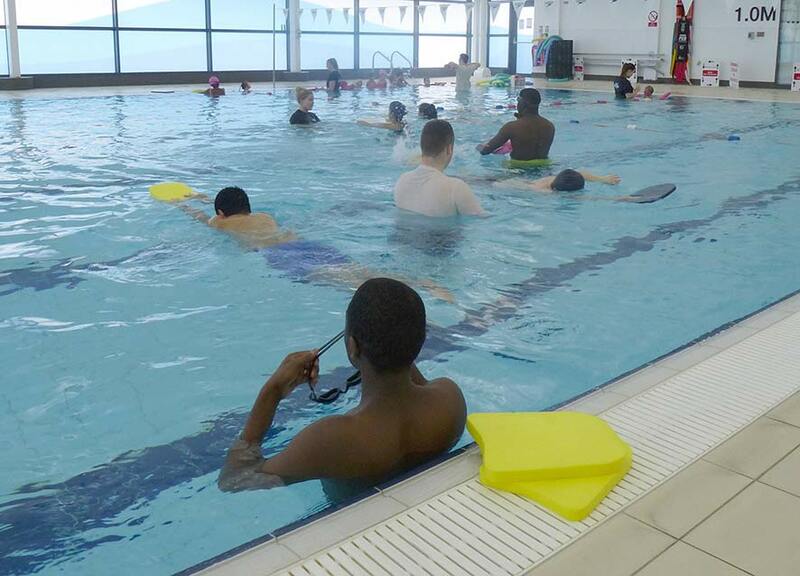 All our teachers are enhanced DBS checked and lifeguard trained, with qualifications renewed on a regular basis. Correct strokes and breathing are taught right from the beginning using noodles or floats. As children individually progress the teachers will recommend they move to the next class, even within the 10 week course. An ideal opportunity for adults of all ages to renew or learn a new skill with teachers in the pool when required. With daytime and evening sessions, small group classes could be an opportunity to make new friends. Start2swim offers great tuition for children aged 3 years through to adult encouraging confidence and safety in the water.